Anyone who knows me well can tell you that I’m obsessed with kitchen “stuff”. And I don’t only mean gadgets, I can spend far too long rummaging through the €1 knives and veggie peelers and the €5 frying pans in any Spanish market. It’s time well spent, I always come away with a bargain and a smile. So when given the opportunity to try out something new, lets say I’m certainly not backward in coming forward. 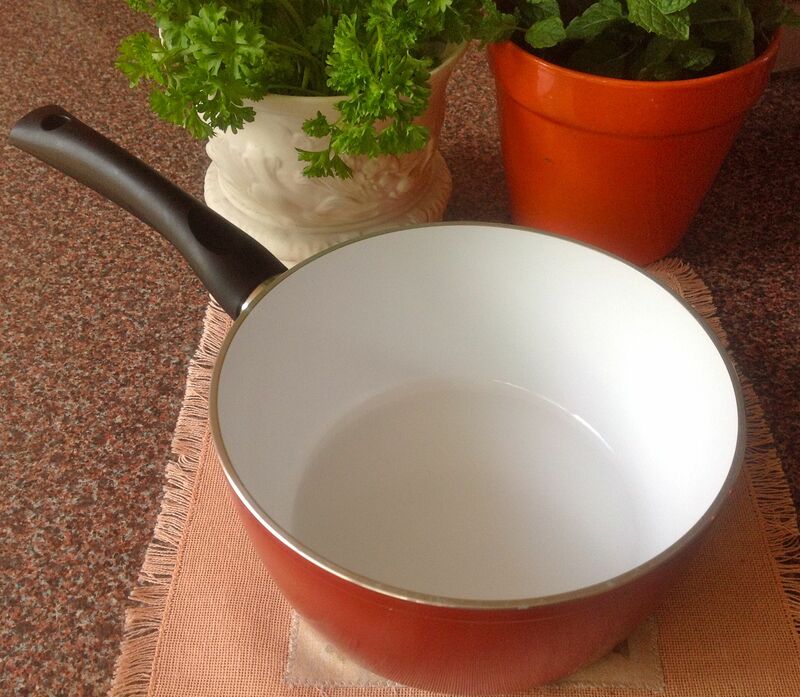 Today it’s a fabulous new pan from a manufacturer called Ceracraft. To test out my new pan I decided to make a summery soup for friends who were coming round. This is definitely going to become a favourite in our house, it’s beautifully light and flavoursome, has few ingredients and is quick and easy to make. Plus it looks beautiful! How can you resist? Put the pan on the hob on medium heat and melt the butter. Fry the onion and garlic until softened. Add the mint sprigs and keep frying for another five mins. Add the chicken stock and 50g of the ham hock. Add 700g of the frozen peas, keeping back 200g to add to the soup later. Bring to the boil, turn down and simmer for 10 mins. Take off the heat and leave to cool slightly before blending with a hand blender until smooth and velvety. When ready to serve add the remainder of the fresh peas and heat through. 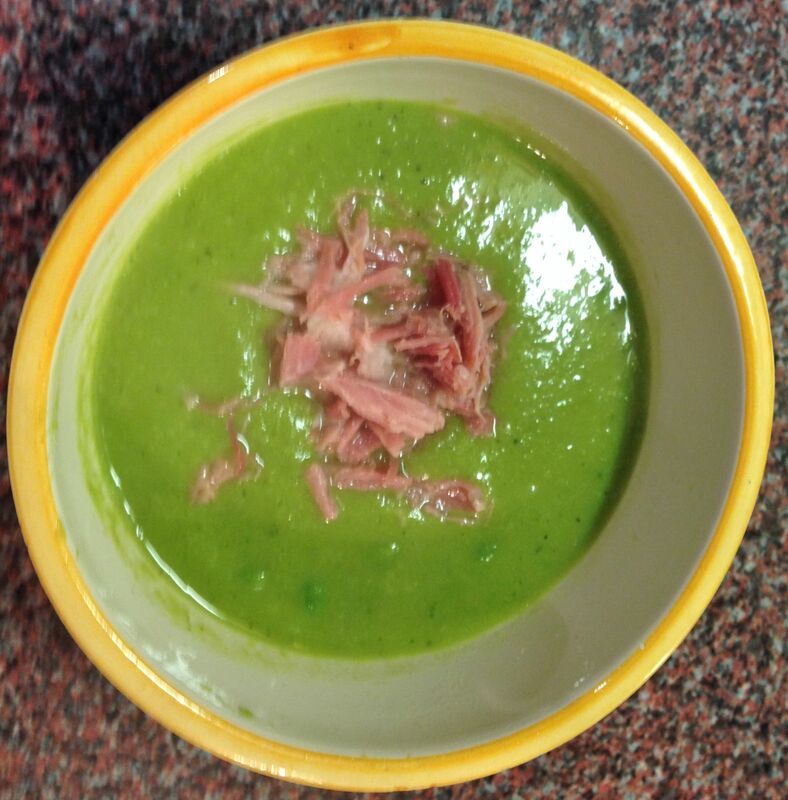 Serve with the remainder of the shredded ham hock (make sure you take it out of the fridge so it warms to room temperature) in a bowl for guests to sprinkle over the top of their soup. I discovered ready-shredded ham hock in packs in Sainsbury’s, which makes life easy. For vegetarians, leave out the ham and use vegetable stock instead. Adding the rest of the peas later adds texture and a small surprise to your soup.